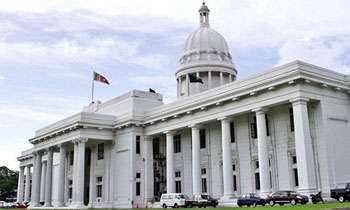 A top official of the Colombo Municipal Council (CMC) is said to be refusing to work with another high ranking official of the council merely because the latter is a woman. Sources said that the top official is hell bent to transfer the female officer who had been recently transferred to the CMC from the Kotte Municipal Council. She had been appointed to the CMC to fill a post of a secretary which fell vacant after the official who held that post earlier left the council to take over another job at the Dehiwala-Mt. Lavinia Municipal Council. Does this higher official have no mother, sister or wife? Please replace the “male” chauvinist and give his position to a female! Does this high official see the Mayor as a "Man-of-a-Woman"??? It's Haram (prohibited) for a Muslim to work under a female. Is that why prophet Muhammad was employed by his first wife Aisha? This guy is on drugs. There's no such thing in any religion. Hey you Dumbass Rasheed, don't exhibit your Ignorance in the whole WWW !!! Yeah!! If so, that person should seek for transfer, or resignation. Rasheed this explains why your mother did not have to work for you giving birth. She dropped you just like going to the toilet. Is Sri Lanka a Muslim country? Andrew, shouldn't that make us proud so that our women would know to dress conservatively without men falling victims to "Ragaya". This article is misinterpreted. The Top Officer is protesting that the western province provincial council has appointed a retired lady on contract basis. There are enough Senior SLAS officers available in Sri Lanka willing to work in Colombo. This post is a very senior one and all General Council matters and personnel matters handled by the secretaries Department. So the Secretary should be a permanent officer from the service who can take the responsibility. Not a retired officer on contract basis .